Many organizations are confronted with cost cutting and that is the moment when cost saving objectives start to take shape. 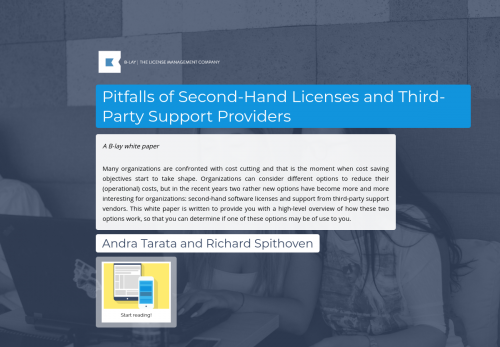 Organizations can consider different options to reduce their (operational) costs, but in the recent years two rather new options have become more and more interesting for organizations: second-hand software licenses and support from third-party support vendors. This white paper is written to provide you with a high-level overview of how these two options work, so that you can determine if one of these options may be of use to you.